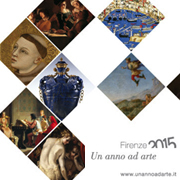 Exibitions in Florence in 2015: calendar. Between the City of Florence, the Museums, Expo and Palazzo Strozzi we expect a year of extraordinary exhibitions and cultural events. We will see which ones will be memorable, which surprising, but certainly we expect a feast for the eyes next to the delicacies presented at the Expo. Staring February 3rd with the commemoration of the arrival of the King of Italy Vittorio Emanuele II in Florence, and the opening of the documentary exhibition at the State Archives ‘A Capital and its architect’, there will be several events celebrating the anniversary of Florence Capital of Italy (from 1865 to 1871) (for example May 14th with the memory of the inauguration of the statue of Dante in Piazza Santa Croce). On February 10 at the Uffizi Gallery , the exhibition “Gherardo delle Notti “ will be the first exhibition of “A Year in Art” (Un anno ad arte) that involves all the institutions of the Museums of Florence and generally focuses on particular aspects and artists of the collections. The Bargello, founded in 1865, celebrates its 150 years with “The Middle Ages traveling” (from March 20 to June 21), presenting, through everyday objects and artistic works, the dual nature of journeys “in the real and in the fantastic “. The Accademia Gallery will host a Franciscan themed show, with its immense treasure of art and worship “The Art of Francis – Masterpieces of art and lands of Asia from the thirteenth to the fifteenth century”(from March 30 to ‘October 11). Palazzo Strozzi inaugurates Power and Pathos. (14 March- 21 June 2015). The exhibition illustrates, through the display of exceptional examples of bronze sculptures of large dimensions, the development of art in the Hellenistic Age. With the arrival of summer the Forte di Belvedere reopens with the exhibition of works by Antony Gormley (from April 25th) one of the most relevant contemporary sculptors, winner of the Turner Prize in 1994. Gormley has exhibited his work in major museums around the world, it will be surely amazing to see them relating to the Florentine skyline. During the entire period of the Expo the complex of St. Firenze (right behind Palazzo Vecchio) will turn into the ‘Florence pavilion‘, home of the Florentine excellence in craft and food, supported by the Chamber of Commerce of Florence. Lesser known artists to discover will be “Piero di Cosimo – eccentric ‘Florentine’ painter between the Renaissance and Mannerism” (Uffizi Gallery, from June 22 to September 27) and “Carlo Dolci” (Palatine Gallery, from June 30 to November 15). “Lapis Lazuli. Magic of the blue “(Museo degli Argenti in Palazzo Pitti, from June 9 to October 11) promises to be an’ unprecedented exposure addressed exclusively on the precious stone adopted, over the centuries, to create beautiful objects but also, once reduced powder , used as a pigment for the famous “Overseas natural blue “. A selection of works by Jeff Koons will be exhibited in conjunction with the Biennial of Antiques, a Pop twist for one of the most important events for collectors and art lovers. The year will end with another figure to discover “Carlo Portelli – a fine painter” (Accademia Gallery, from 14 December to 17 April 2016).